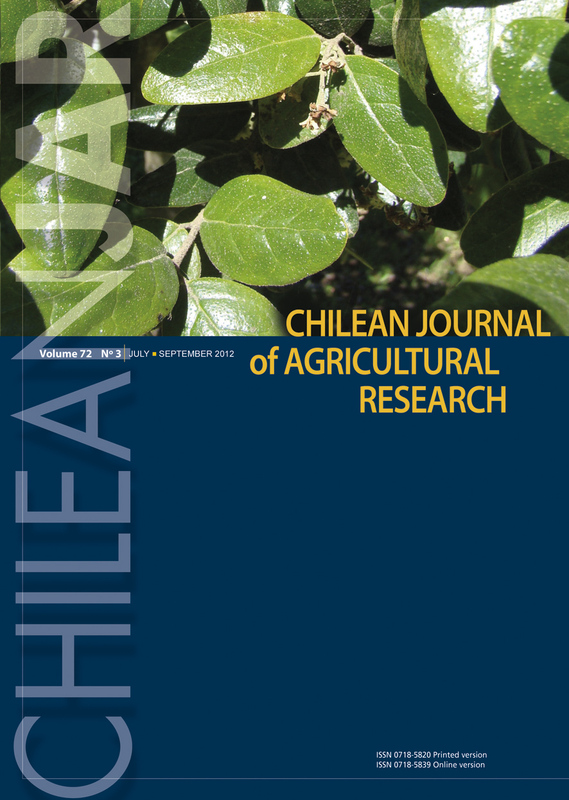 Few studies have been conducted in annual and perennial forage legumes to investigate the development of hardseededness and the subsequent pattern of seed softening in temperate and subtropical regions of South America. Experiments were conducted during 2007 and 2008 in central Uruguay to follow the pattern of seed softening in 35 annual and perennial forage legumes, including three native species of Uruguay and five commercial cultivars. Newly ripened seeds of each plant material were placed in mesh packets on the soil surface in mid-summer. Samples were recovered monthly for germination tests and the proportion of residual hard seeds determined. The native species Adesmia bicolor (Poir.) DC., Adesmia securigerifoli a Herter, and Ornithopus micranthus (Benth.) Arechav., together with Ornithopus pinnatus (Mill.) Druce cv. INIA Molles behaved similarly. They showed high levels of initial hard seed from 78% in A. bicolor to 99% in A. securigerifolia and O. pinnatus cv. INIA Molles in 2007; displayed pulses of seed softening, particularly in autumn, and retained moderate levels of residual hard seed for the development of a soil seed bank ranging from 15% in A. bicolor to 49% in O. micranthus. These appear to be desirable characteristics for persistence of forage legumes in subtropical grasslands, both for annual and perennial species. Trifolium repens L. and Lotus corniculatus L. produced few hard seeds, only 2% and 13% respectively were hard after 1-mo in the field and were completely soft by July placing extra reliance on their vegetative propagation for persistence. Materials of L. arenarius Brot. showed pronounced late autumn softening, while materials of L. ornithopodioides L. showed extremely high levels of hardseededness (between 96% and 100%) and no softening during the evaluation period, apart from two materials that were completely soft seeded. Mediterranean forage legumes should be properly evaluated in temperate and subtropical regions as their seed softening behavior is likely to be substantially modified in these summer moist environments.